Action RPG where a school seems to be at war with a nation. I don’t understand the pattern of Final Fantasy releases on PC. With two bad ports of the divisive Final Fantasy XIII subseries behind it, here’s a HD version of an old PSP game, which originally arrived on consoles earlier this year. The PS4 version came with a demo of the far more exciting-looking, shiny Final Fantasy XV. That’s not coming to PC right now, so we’ve just got the less exciting part of that bargain. Without the added appeal of that demo, Type-0 on PC is strictly for fans only—there are obvious signs of its handheld origins, such as the bitty quest structure, loading screens between small environments and inconsistently remade visuals. More than that, Type-0 doesn’t represent Final Fantasy at its best outside of the fairly decent real-time combat. Type-0 is an action RPG where you control the 14 boys and girls of Class 0, an elite unit of teenagers who grimace handsomely around a military school called Akademeia, which is like Hogwarts with more short skirts and physical violence. Your party consists of three of these kids at any one time, and all have a slightly different approach to battle, carrying guns, knives, heavy weapons or even a deck of magic cards that can be summoned to attack enemies. You can map commands to specifics buttons and switch to another party member at any time, the idea being that over time you piece together combinations of fighters who work. The roster of 14 fighters gives you a lot of tactical breadth, but keeping them all levelled up is a pain in the arse. Rather than lifting absent party members’ levels automatically while your chosen party fights a la Final Fantasy VII, you have to battle with them all separately to keep your entire team’s levels up, which is a bit of a drag. It means you can spend ages wandering the world map between missions, just trying to keep them a good number of them in fighting shape. Eventually, I just picked the seven I liked and went with those, but even managing that many at once became boring after a while, though there is an option to level up a party member when you’re not playing the game. You can even mess with your PC’s clock to speed up the process, although that probably shows you’re not enjoying the game too much. You have to battle with groups separately to keep your entire team’s levels up. I really like the spread of playable characters and their different weapons: one carries a flute that makes a different sound for attacks and buffs, one uses a bow and my favourite (slightly overpowered) character, King, just full-on shoots people with two pistols. While the structure of FF Type-0 is a bit repetitive, the moment-to-moment combat doesn’t really suffer from that problem if you regularly change up your playable heroes, and party members have their own separate progression menus to learn new abilities, too. If Final Fantasy XV ever does come to PC, Type-0 suggests that Square Enix is getting better at real-time combat, which is a healthy sign. It’s just almost everything else I don’t like about Type-0. The story and character designs remind me of the terrible-looking anime series I scroll past every night on Netflix—and I usually enjoy the melodrama, ludicrous dialogue and twists of a Final Fantasy story. The problem is that the size of the cast makes it tough to dial in on one you care about, and the suggestion of a bloodier war-like tone in the game’s intro isn’t consistently maintained throughout the game, which can still be really goofy and badly acted. The character designs of female characters pander too much to a presumed audience of teenage boys, too, (one lady’s pants fly in the air when she uses a mace that’s twice her size, because of course), and the idea of a military school has also been done better before in the series with Final Fantasy VIII. The non-combat RPG stuff is pretty weak, too, and shows the limitations of a ported handheld game: there’s a world map and towns to enter, but it’s basically a dull landscape with a few points of interest, while the towns are rooms that don’t feel like real places. In between missions, players are free to explore the school, which would be a pleasant, lavish space to spend time in were it not painfully divvied up room-by-room with loading screens. Again, that’s almost certainly because Type-0 began life as a handheld game. But that shouldn’t really be your problem when you’re paying $30/£20 for it. You're also burdened with a time system that means you can only attend so many lectures or complete sidequests for other characters before the next main mission begins. There’s a time cost for completing each activity, or heading into the open world. I don’t like doing sidequests on a timer, and you can only take on one at a time, which means a lot of backtracking is required to hoover everything up. The idea is presumably to encourage multiple playthroughs where you can catch every character interaction, but it actually turns what could’ve been a nice stock of sidequests into a boring chore. 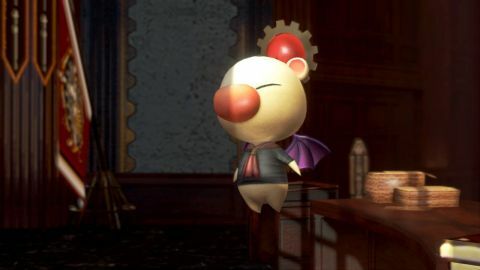 Problem is, you need to do these one-by-one just to progress—Type-0 is a tricky game unless you’re diligent about levelling up a lot between main story missions. I’m not that impressed by the PC port of Type-0, either. As Durante notes in his in-depth analysis, there are plenty of graphics options here relative to the initial release of XIII on PC last year, but there are only two fixed resolution options—720p and 1080p, which is a poor effort, and it runs at a locked 30fps, too. It’s also been inconsistently remade for HD, and only looks nice in brief moments—the school looks noticeably better than other environments, and prominent characters including your party have been remodelled to look modern. But some of the lesser supporting cast members and objects that appear in the world haven’t been given the same treatment, which leaves a jarring quality effect. While the lighting is more up-to-date, Type-0 is just rarely that pretty, particularly in the world map. Square Enix is slowly getting there with moving its colossal back catalogue onto PC, but Type-0 does not represent Final Fantasy at its best. I think existing fans will enjoy the combat system, but I couldn’t recommend this limited action RPG to anyone as a starting point for the series.